Wirewound braking resistors can be suitablefor rugged applications. Two terminal extensions are fixed on both ends of aceramic tube on whose surface winds wave-shaped alloy resistance wire and ahigh temperature resistant and fireproof coating are applied. 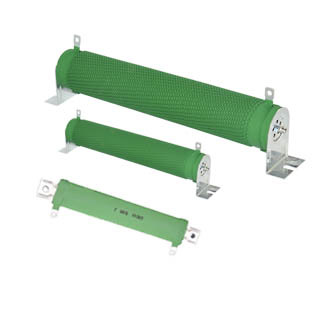 The ceramic tubecan function as resi..
Wirewound braking resistors can be suitablefor rugged applications. Two terminal extensions are fixed on both ends of aceramic tube on whose surface winds wave-shaped alloy resistance wire and ahigh temperature resistant and fireproof coating are applied. The ceramic tubecan function as resistance w..